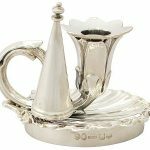 There are many types of candle holders from candlesticks to candelabra’s, but the definition of a chamberstick is one that has been designed for carrying. They are smaller in height, have a flat circular base (sometimes ornamentally shaped) the purpose of which is to catch any dipping candle wax from falling onto the floor or on clothing. Other features of the chamberstick are that of a central socket to hold the candle, a sconce (sometimes removable) with a handle on the side and some come with a snuffer. The name comes from the purpose of the item, to a place to secure a burning candle which could be carried to see you safely to your chamber. 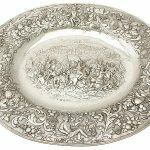 They can be made from silver, brass, pewter or porcelain and the making of these dates by centuries. Ironically these items wouldn’t be kept by your bedside. 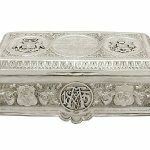 They would be kept on the entrance hall table as you came in the door so they could be used by various family members when they retired for the evening. The following morning they would be collected by chamber maid which were then placed in one of two places depending on the family’s wealth. If the family was quite wealthy then they would have a candle room where everything was kept to clean the chambersticks ready for their use again that evening. Or they would be taken to an area of the kitchen where this was done. 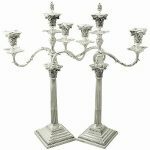 It has also been noted that back in the 18th century wealthy households would have a candle man who would be employed full time to look after all the candlesticks in the house. It’s hard to imagine candlelight in that of the 18th century due to our electrically lit modern day lives, but how lighting worked in this time was very well thought out. Candlesticks were placed in front of mirrors in order to double the light that the flame of the candle gave off. Even the metal of candlestick contributed to this and was polished in order to increase re-reflection of the light. 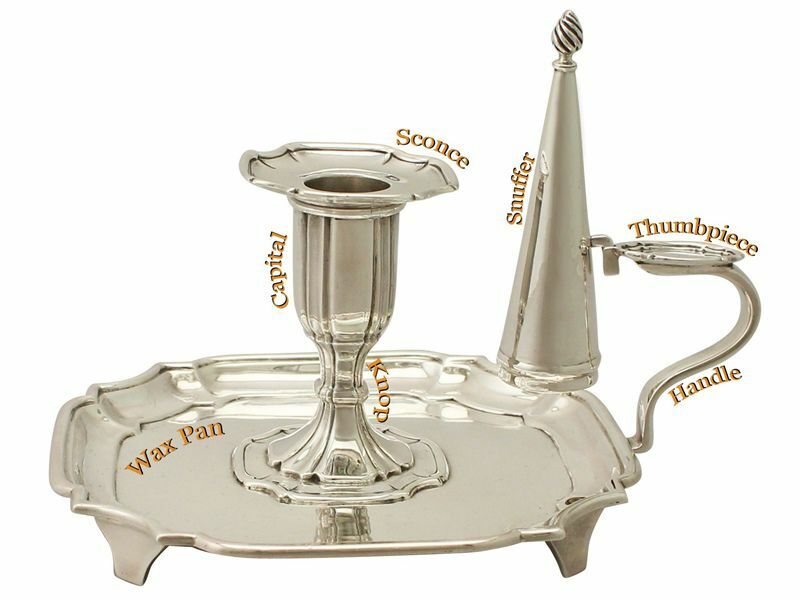 The type of candle used was different in a chamberstick to that of a candlestick. A tallow candle was mainly used in chambersticks whereas beeswax candles were used in candlesticks. This was because beeswax burned 3 times brighter therefore they reflected more in the mirrors giving maximum light in the rooms. Chambersticks were very important as they lit the way in the dark when you needed to move from room to room. Once they had got you to your destination they were used to light the candlesticks in the room; the chamberstick was lit again before blowing out the main candlestick in the room so you could get safely to your bedside. I think that what you are calling a snuffer is actually properly referred to as an extinguisher. Next Entry: What is a Charger Plate?